Bulk bag of larch or spruce softwood kiln dried ready to burnBSL Certified 0034348-0001Log size approx 25 cm lengthApprox. 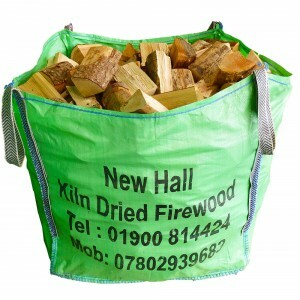 250 logs per bulk bagBulk bag dimensions 85 cm x 85 cm x 85 cm 0.70 cubic metre Logs kiln dried to less than 20 % moisture content.Sustainably sourced from managed woodlands Firelighter InformationNatural Fire lighter is made of small pieces of wood & resin, which lights .. Bulk bag of larch or spruce softwood kiln dried ready to burnBSL Certified 0034348-0001Log size approx 25 cm lengthApprox. 250 logs per bulk bagBulk bag dimensions 85 cm x 85 cm x 85 cm 0.70 cubic metre Logs kiln dried to less than 20 % moisture content.Sustainably sourced from managed woodlands4 Firelighter InformationNatural Fire lighter is made of small pieces of wood & resin, which lights..
Winter Deal consists of:2 x Large Bulk Bag - Kiln Dried Softwood2x Bags of Kindling1x Bag of 20x firelighters Bulk bag of larch or spruce softwood kiln dried ready to burnBSL Certified 0034348-0001Log size approx 25 cm lengthApprox. 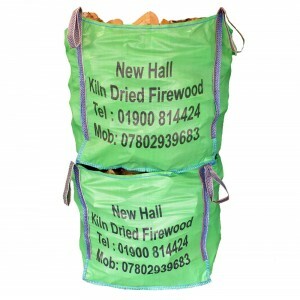 250 logs per bulk bagBulk bag dimensions 85 cm x 85 cm x 85 cm 0.70 cubic metre Logs kiln dried to less than 20 % moisture content.Sustainably sourced from managed wo..
Winter Deal consists of:1 x Large Bulk Bag - Kiln Dried Hardwood2x Bags of Kindling1x Bag of 20x firelighters Bulk bag of larch or spruce softwood kiln dried ready to burnBSL Certified 0034348-0001Log size approx 25 cm lengthApprox. 250 logs per bulk bagBulk bag dimensions 85 cm x 85 cm x 85 cm 0.70 cubic metre Logs kiln dried to less than 20 % moisture content.Sustainably sourced from managed wo..